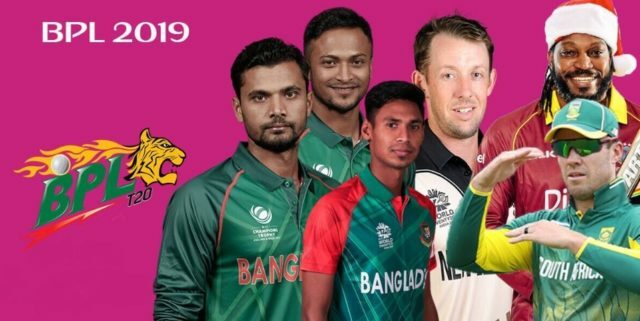 BPL T20 2019: । The changes have taken place in Bangladesh premier (BPL) league timing in BPL field. On Thursday, the BPL authorities confirmed the change in schedule during the BPL match. From 12 January the first match of the BPL will start at noon at 1.30 pm. The second match timing will also be delayed for the changes in the first match. The second match of the day will begin at evening 6 pm. However, there are no changes in Friday match. As usual, the 1st match will start at 2 pm and the 2nd match will start at 7 pm. Every day the match will start after one hour from the previous schedule. By the previous schedule, the match was started from Saturday to Thursday the first match has been held at 12.30 pm and the second match at 5.20 pm. BPL T20 2019: । The changes have taken place in Bangladesh premier league (BPL) timing in BPL field. On Thursday, the BPL authorities confirmed the change in schedule during the BPL match.